It's only in recent years that I've become a bit brow obsessed. I've always had them waxed regularly but I never really used a product on them or had them 'shaped as such' - any products I did try were disappointing and involved too much faff and the thought of having them shaped made me get 'scary HD brow' fear. That was before Lynne got hold of me at Effortless Beauty in Moira. I've been a regular there for a couple of years now for nails and make up but then a few months ago Lynne asked me if she could transform my brows. My immediate reaction was not positive...but Lynne told me she would keep it subtle, not scary and most importantly, easy to replicate at home using a new product she has sourced herself. As I trust her so much, I decided to let her loose on me. 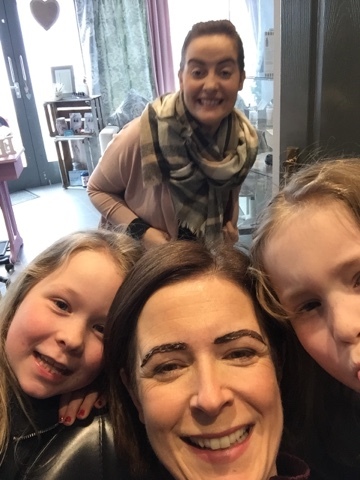 On my first appointment Lynne explained that it would take three appointments for me to achieve perfect brows....the first two appointments would be about encouraging a good shape through strategic threading of the brows. By my third visit, it would be all about the maintenance. 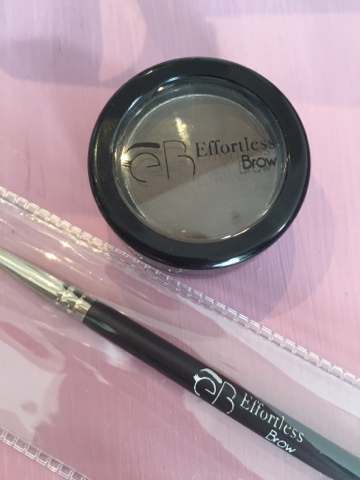 But throughout the process, her fabulous Effortless Brow powder & brush would allow me to recreate amazing brows every single day. 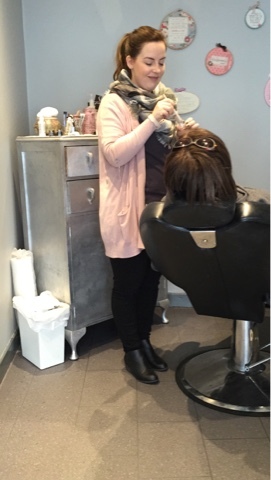 Lynne showed me how to use from the first appointment, emphasising the importance of using on the upper side of the brow, rather that the underside. It did exactly what I was told it would do. 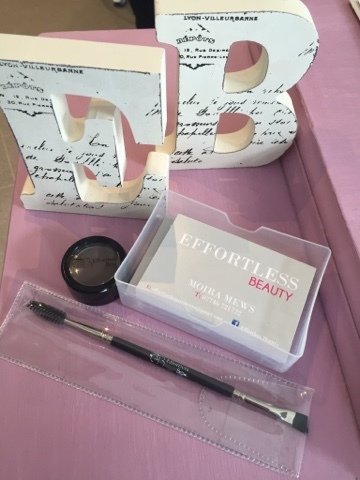 It allowed me to fill in the gaps in brow growth initially but on an ongoing basis, it gives the brows a temporary tint and fullness that I can build up for nights out/occasions. I should say now although I call it a powder, it's more like something in-between a wax and a powder so it doesn't blow off the brush. I think that's what makes it work so well - it's that perfect balance between the two textures. As I mentioned above, I've used other products in the past - another brow powder, a wax product and also a brush style product, similar to a mascara brush and I found the powder ineffective and hard to apply, wax didn't last that long and was also difficult to apply and the brush on product was easier to apply but I never liked the sticky texture that had a tendency to clump and leave you with uneven brows. Anyway, take it from me, this Effortless Brow stuff is magic - even after 6 weeks when my brows were faded and growing out of shape, this powder, used with the angled brush could make them look freshly tinted and nicely shaped in an instant. And it doesn't fade or rub off during the day at all. I took these two photos on the same morning - the first one is without make-up and the second one is after I've applied the brow powder. Pretty impressive eh? 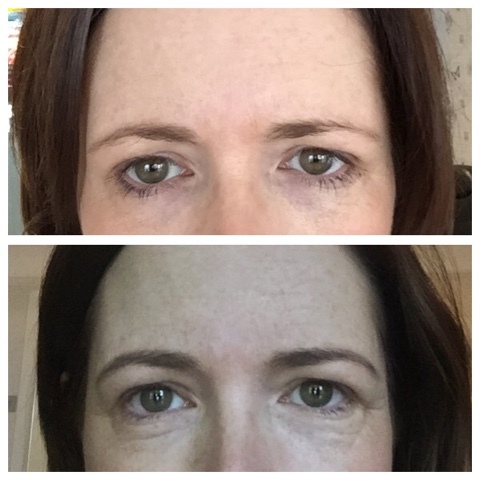 The great news is that for anyone who's too far away from Moira to have Lynne work her threading magic, you can get this part of the Effortless Brow experience posted out to you - full details on this link to Lynne's site. The powder comes in a range of colours and with the brush, is just £25. And it will last forever as you use so little of it each time. If you're unsure what colour to order, just drop Lynne an email with a photo and she can help you with that. Mine is the dark brown. But the best bit about all of this is that a naturally shaped brow that works with your skin tone and hair colour, makes you look more youthful. I'm quite grey under my hair dye so as a consequence, my brows are lighter too (though I like to think they're more blonde than grey......!!). I definitely think having your hair colour done and not also tackling your brows can almost undo the youthful effect of a great hair colour. And finding a person who knows about brows and a product that allows you to create the same effect at home....well it's the perfect combination. 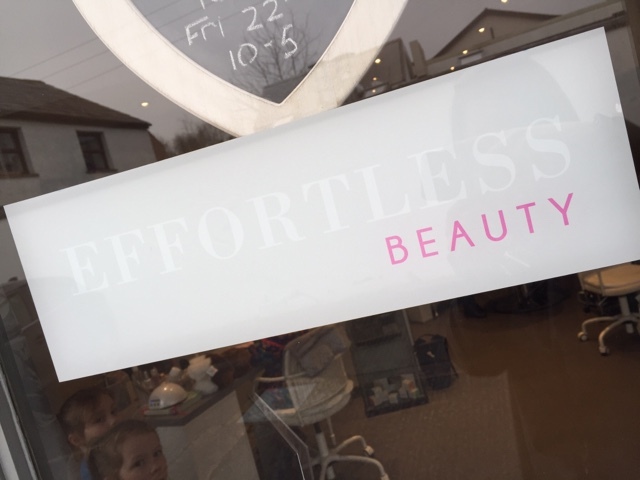 Effortless Beauty is located in Moira Mews just off the main street in Moira Village, about 20 minutes from Belfast off the M1. You can find more information on the website here and on Lynne's Facebook page on this link. Thanks for supporting the brands that support this blog! Sounds like a good place. Sister lives near Moira so will perhaps drop in when I go over in summer. My teenager shapes my brows as my eyesight now so rubbish I can't do it myself.